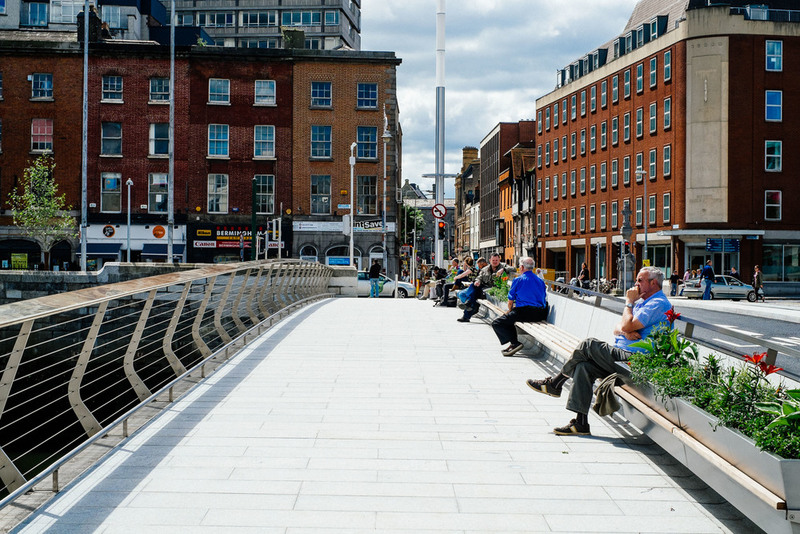 Recently Dublin's newest bridge, the Rosie Hackett Bridge over the river Liffey opened. 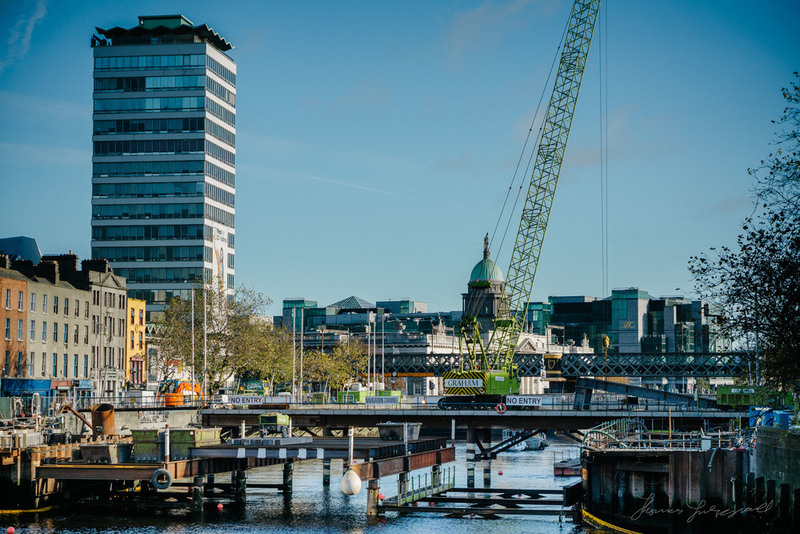 The bridge is part of the Cross Town Luas project, which aims to bring Dublin's two tram systems together, and is currently the cause of road works all over Dublin City. I've been following the development of this bridge for some time as I've wandered around the city taking pictures for my Streets of Dublin project. It's fascinating now looking back to see the bridge take shape and what the final product is like. The bridge was designed by architect Seán Harrington, who also designed the Millennium bridge. 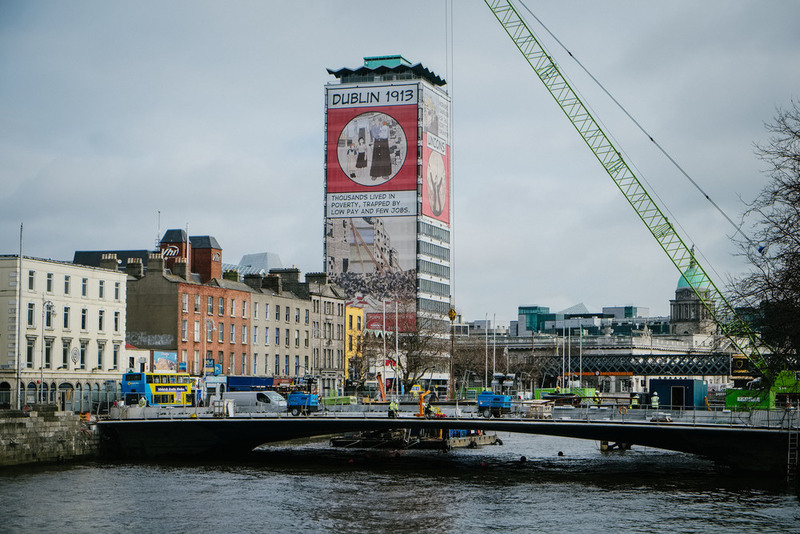 You can find out more about the history of the bridge on Dublin City Council's Bridges of Dublin site.